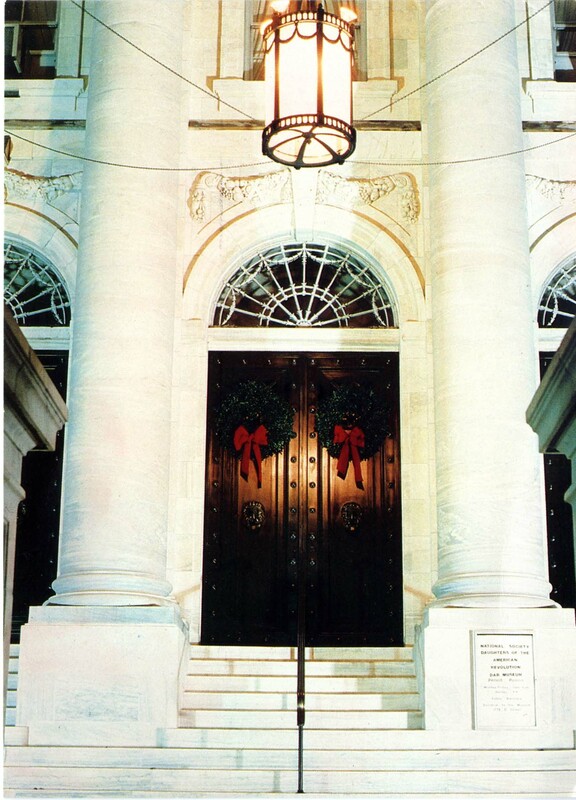 Season’s Greetings from the DAR! During the hustle and bustle of the holiday season, have you ever stopped to ponder the beginnings of the Christmas card? 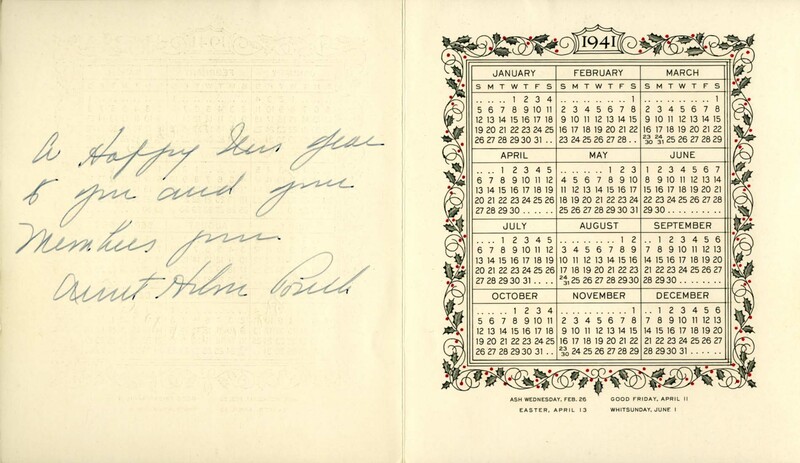 In England it was customary to send a Christmas or New Year’s letter of well wishes to friends and family. During the late 1830s the complex postal system in the United Kingdom was reformed and simplified. 1840 saw the passage of the Unified Penny Post, which allowed postage to be prepaid and cards and letters to be mailed anywhere within the British Isles for only a penny, regardless of the distance. 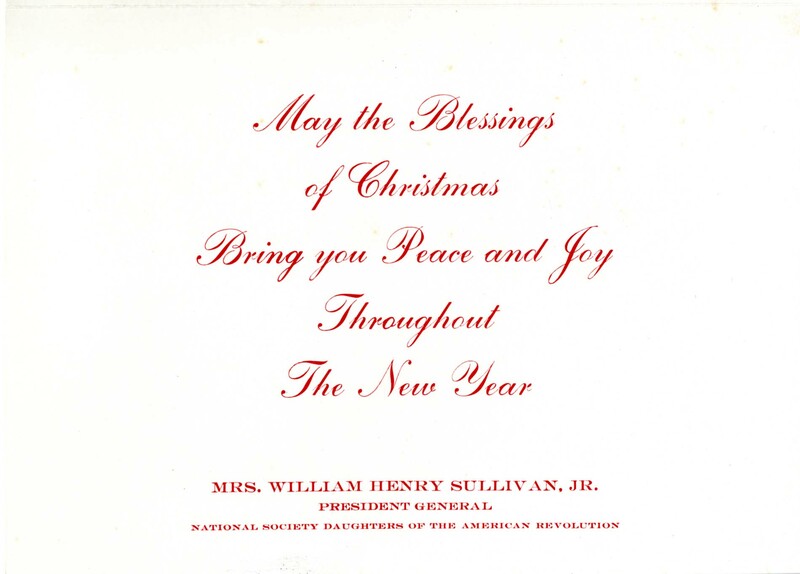 Consequently, the cost of postage was now affordable to many and this resulted in a dramatic increase in mailed correspondence, including Christmas letters. During this era, it was considered impolite to not respond to letters. 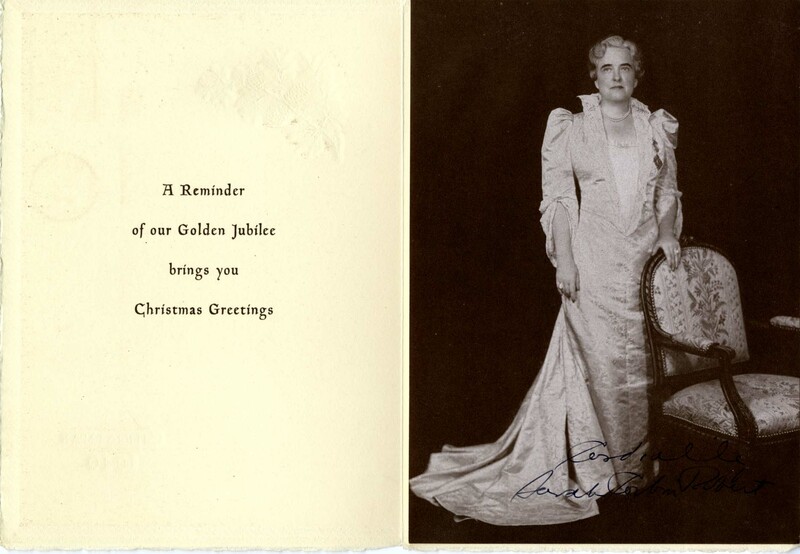 The increase in Christmas letters overwhelmed Sir Henry Cole, founder of the Victoria and Albert Museum. In 1843 Cole collaborated with his friend and artist John Callcott Horsley, asking him to illustrate an image he had sketched in his mind. 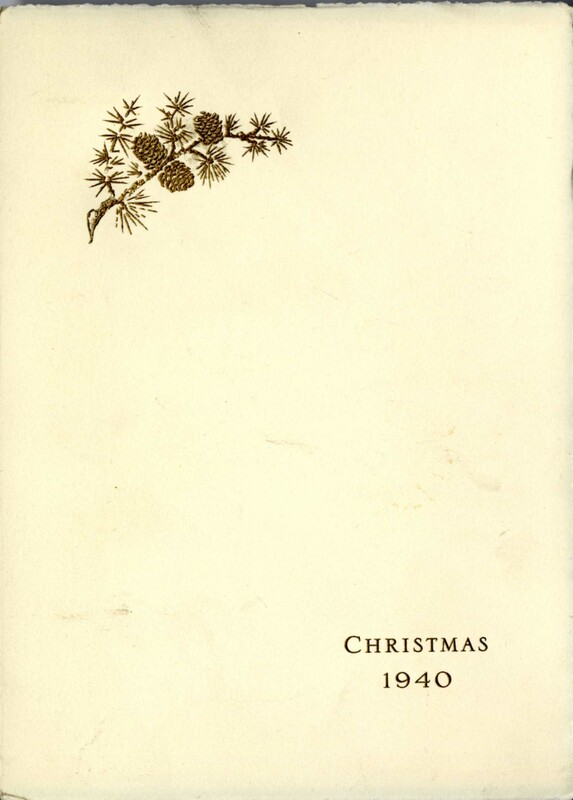 The resulting image was mass produced and sent out as the first Christmas card. 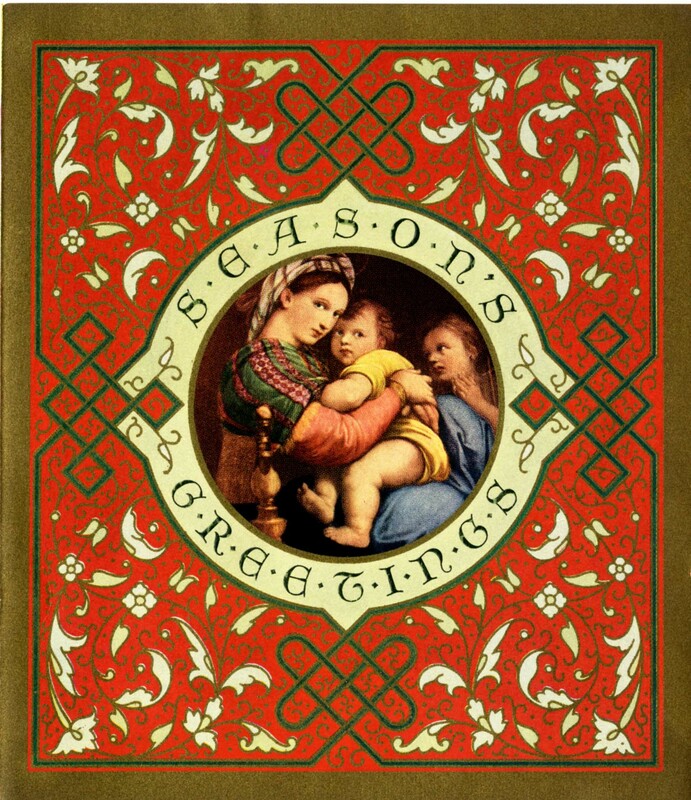 The above card depicts three generations of a family toasting with the greeting “A Merry Christmas and A Happy New Year To You” and has images of charity on the sides. The top of the card contains a “TO” line whereas the bottom contains a “FROM” line. This allowed for the intimacy of personalization to be joined to the convenience of a generalized message. 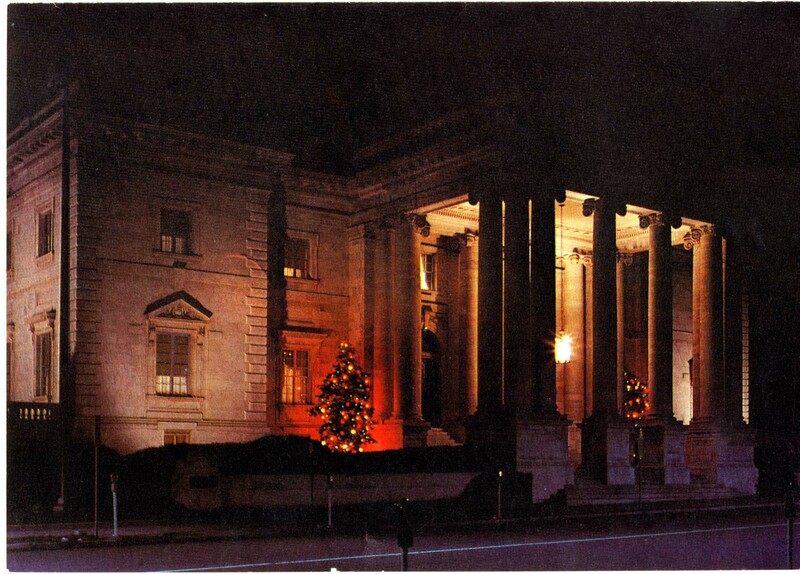 Throughout DAR’s 126 year history, many Christmas and holiday cards have been sent out on behalf of the Society. 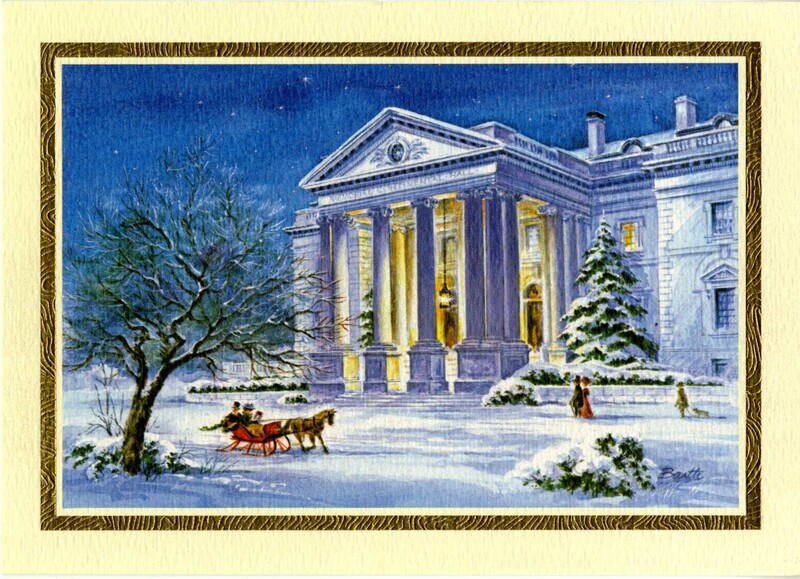 These cards have featured traditional Christmas imagery; photographs of the DAR Headquarters decorated for the holidays; and well wishes from the Presidents General. 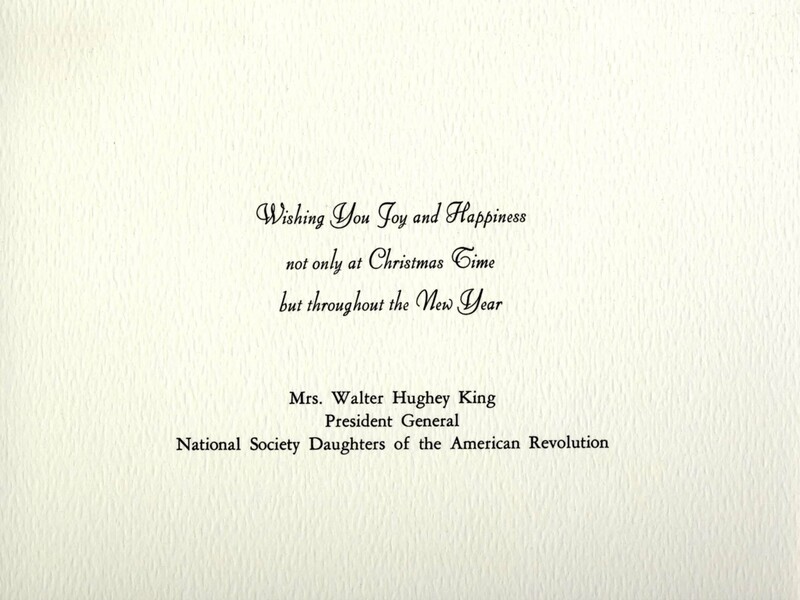 Like the first Christmas cards in 1843, these cards were designed and printed in advance for convenience, and personalized to convey a warm message. 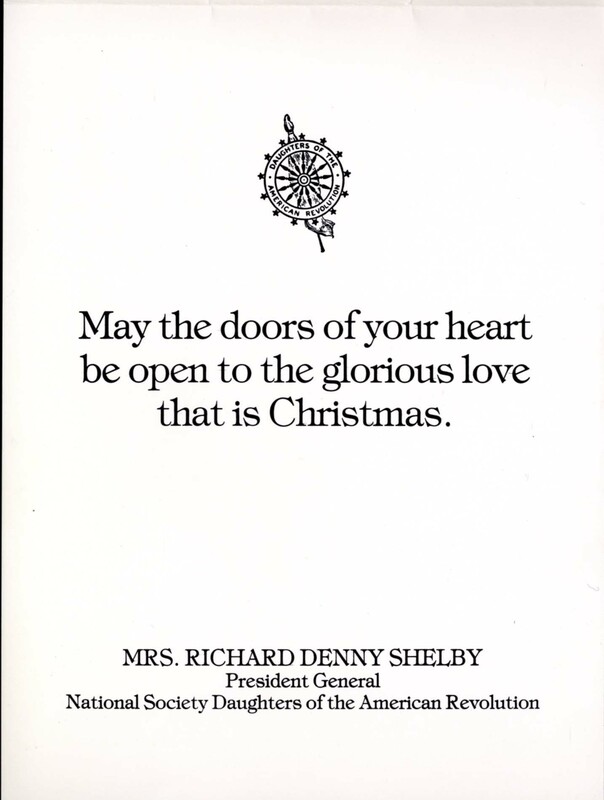 Here are a few highlights Christmas cards form the NSDAR Archives here. #TBT 125 years ago, on April 19, 1894, the Sequoia Chapter in San Francisco, California, planted a �... 19 hours 52 min ago.